The Integrated Science classes at Logan River Academy have been studying astronomy. As part of the unit, the class created a star/constellation chart. The first step was to spray paint a large black/blue circle on a white sheet. 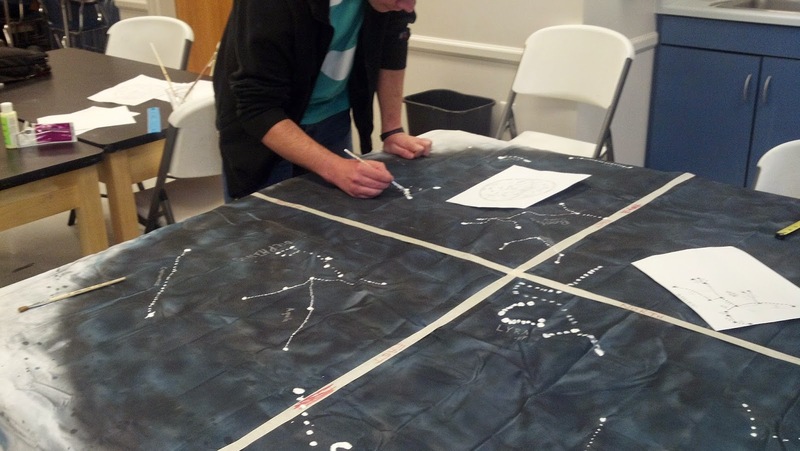 Each student or group of students was assigned to draw a constellation to scale. This meant that they needed to measure it on the map and then locate the position on the painted portion of the sheet. Once they were drawn, the constellations were accented with glow in the dark paint and glitter paint. It was a fun and creative way for the students to learn about astronomy. Submit your review for Logan River Academy.